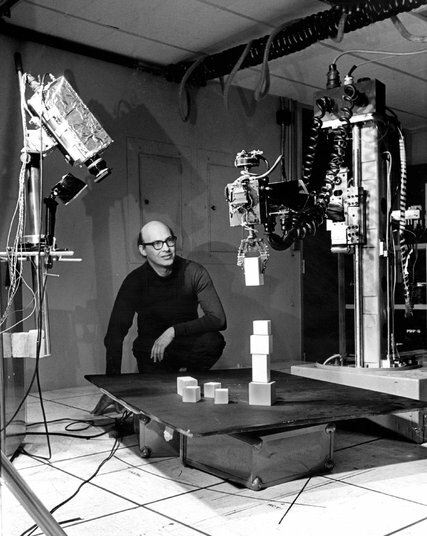 Marvin Minsky in a lab at M.I.T. in 1968. CreditM.I.T. Fascinated since his undergraduate days at Harvard by the mysteries of human intelligence and thinking, Professor Minsky saw no difference between the thinking processes of humans and those of machines. Beginning in the early 1950s, he worked on computational ideas to characterize human psychological processes and produced theories on how to endow machines with intelligence. Professor Minsky was lavished with many honors, notably, in 1969, the Turing Award, computer science’s highest prize. Professor Minsky’s book “The Society of Mind,” a seminal work published in the mid-1980s, proposed “that intelligence is not the product of any singular mechanism but comes from the managed interaction of a diverse variety of resourceful agents,” as he wrote on his website. Marvin Lee Minsky was born on Aug. 9, 1927, in New York City. The precocious son of Dr. Henry Minsky, an eye surgeon who was chief of ophthalmology at Mount Sinai Hospital, and Fannie Reiser, a social activist and Zionist. Fascinated by electronics and science, the young Mr. Minsky attended the Ethical Culture School in Manhattan, a progressive private school from which J. Robert Oppenheimer, who oversaw the creation of the first atomic bomb, had graduated. (Mr. Minsky later attended the affiliated Fieldston School in Riverdale.) He went on to attend the Bronx High School of Science and later Phillips Academy in Andover, Mass. Professor Minsky’s courses at M.I.T. — he insisted on holding them in the evenings — became a magnet for several generations of graduate students, many of whom went on to become computer science superstars themselves. Among them were Ray Kurzweil, the inventor and futurist; Gerald Sussman, a prominent A.I. researcher and professor of electrical engineering at M.I.T. ; and Patrick Winston, who went on to run the AI Lab after Professor Minsky stepped aside. Mr. Hillis said he had so been taken by Professor Minsky’s intellect and charisma that he found a way to insinuate himself into the AI Lab and get a job there. He ended up living in the Minsky family basement in Brookline, Mass. Professor Minsky’s prominence extended well beyond M.I.T. While preparing to make the 1968 science-fiction epic “2001: A Space Odyssey,” the director Stanley Kubrick visited him seeking to learn about the state of computer graphics and whether Professor Minsky believed it would be plausible for computers to be able to speak articulately by 2001. Professor Minsky is survived by his wife, Gloria Rudisch, a physician; two daughters, Margaret and Juliana Minsky; a son, Henry; a sister, Ruth Amster; and four grandchildren. 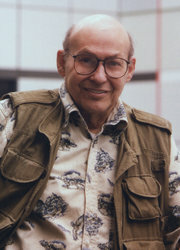 In 1989, Professor Minsky joined M.I.T.’s fledgling Media Lab. “He was an icon who attracted the best people,” said Nicholas Negroponte, the Media Lab’s founder and former director. An obituary on Tuesday about Marvin Minsky, a pioneer in artificial intelligence, misstated the year he received the Turing Award, computer science’s highest prize. It was 1969, not 1970.